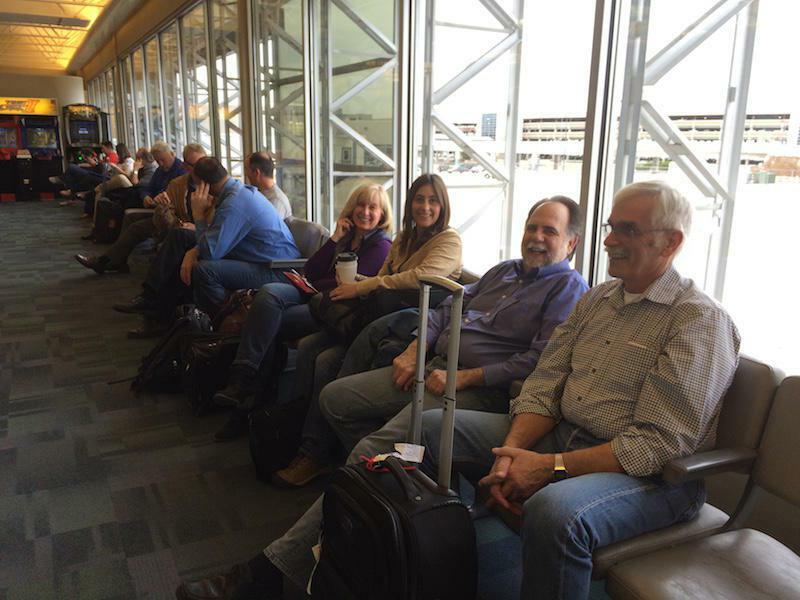 North Idaho Republican lawmakers wait for their flight home at the Boise airport. From right: Rep. Ron Mendive, Rep. Vito Barbieri, Rep. Heather Scott, and Sen. Mary Souza. Click play to hear the radio feature. 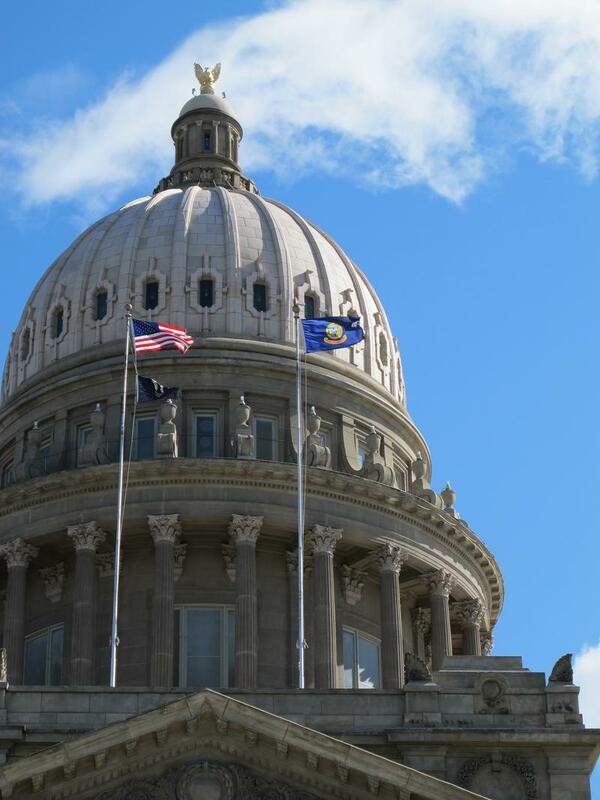 Idaho is so long and has so many mountains, flying from Boise into eastern Washington is the most practical way for these lawmakers to get back and forth. And if you’re Rep. Sage Dixon, once you land, you drive another two hours to get home. Most of the lawmakers at the airport were all Republicans. Northern Idaho is very red -- even by Idaho standards. But Nonini, suddenly pointed out an interloper. “He’s of a different party than most of us, ” he said. It was a Democrat -- Rep. Mat Erpelding from Boise. Erpelding said he's headed north for some Democratic Party events. And at this, Nonini sees his opening for a favorite Republican joke about the number of Democrats in north Idaho. “Well you only need a phone booth to hold that in because there are only about three or four (Democrats) there,” Nonini said to laughter. “No. This is all off the record, right?” Nonini asked. “Oh you're recording all of this?” Nonini said before adding, hey, they're all friends here. It does seem like certain lawmakers are more friendly with each other than other lawmakers. Rep. Luke Malek has a reputation for being more moderate than most north Idaho Republicans in House votes. At the airport, he hung back from the crowd. 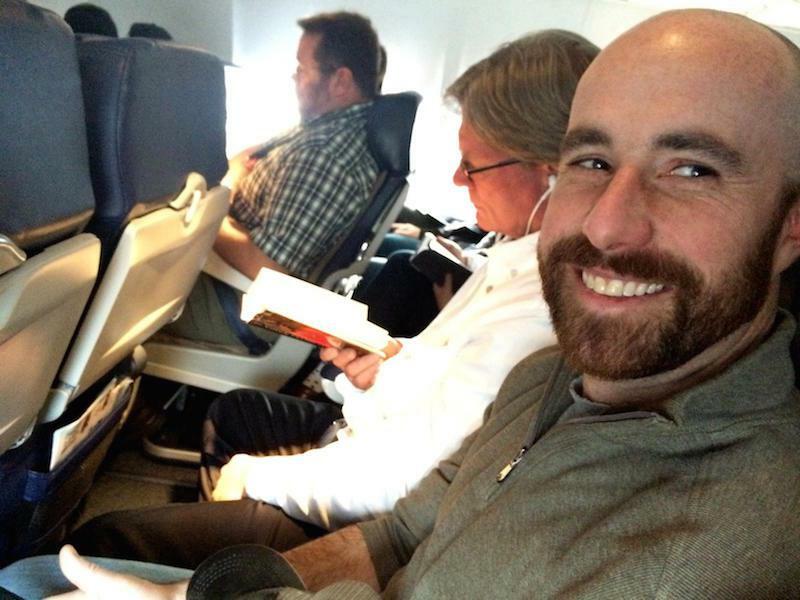 Republican Rep. Luke Malek of Coeur d'Alene gets stuck in a middle seat next to a reporter. “Yeah, I would say there's a little bit of cliquishness going on. I’m not one of the cool kids maybe,” Malek said with a laugh. One of the things I've always wondered about on these flights is: what are the politics of where you sit? We were flying Southwest Airlines, which doesn't assign seats. You get on the plane and choose any open seat. Which means if you see an spot by someone you know, you have a decision to make -- take the seat … or just keep on walking. “If there's (only) middle seats and you walk past a lawmaker it's a snub,” Erpelding said. On the plane, a lot of the north Idaho lawmakers, in fact, do tend to sit together. And sometimes with other people involved in politics. On one flight a race track owner who had been lobbying the Legislature sat with a couple of Republican senators. One later voted his way. The other senator voted against him. On this flight, Erpelding ended up in a window seat next to Republican Rep. Eric Redmond and his wife. And Malek? The north-Idaho-Republican who’s not in with the “in” crowd? He got stuck with a middle seat. Next to ... me. As we took off, Malek started going through unread emails on his phone. 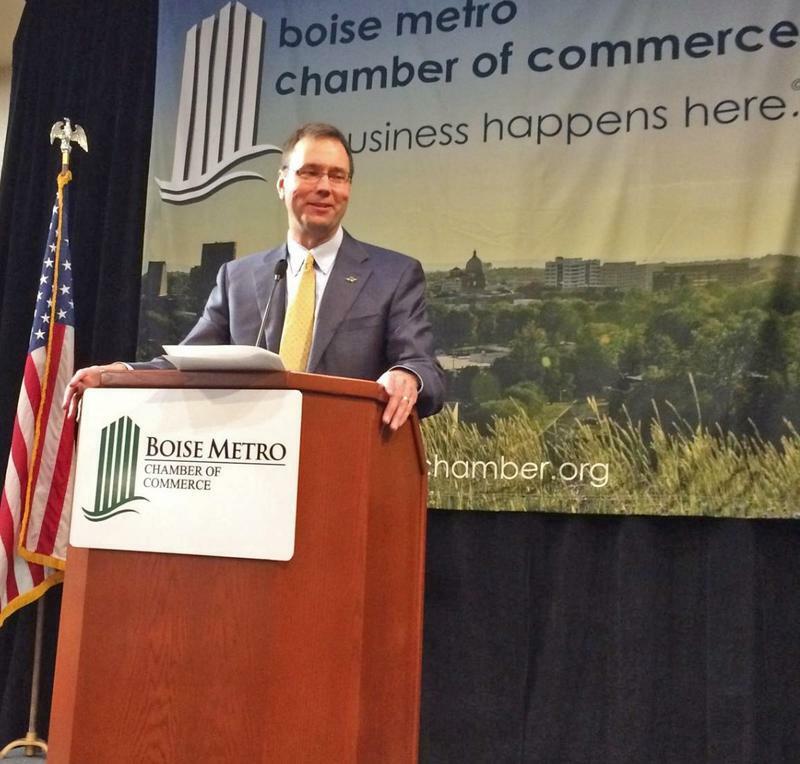 “I deal with about 200 or so emails in my legislative account a day,” he said. We started chatting again about the legislative session -- a couple of not-so-cool kids. Leaving Boise for north Idaho. 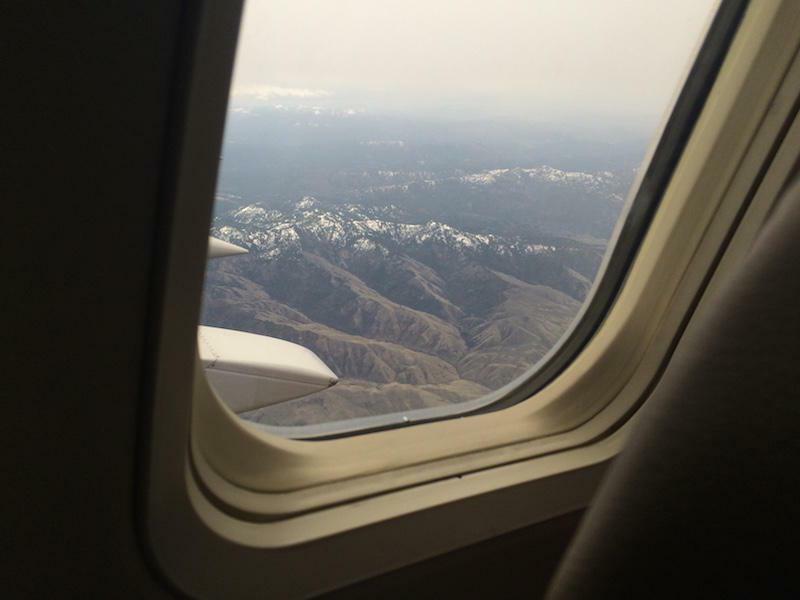 Idaho’s capital city shrank away below us as we headed toward a place full of people who tend to be skeptical of everything that happens here. Some people argue northern Idaho is like a different state entirely. A different culture -- and Malek said weekend trips home keep him tuned in to it.